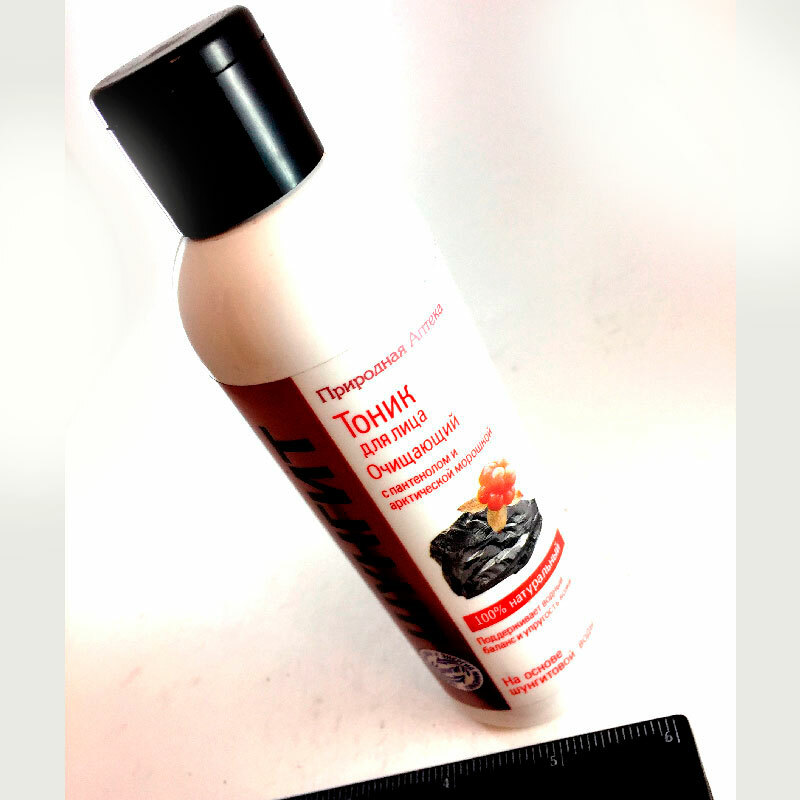 Home Shungit store Shungite Cosmetics Shungite Face care Facial Toner "Clean skin"
The tonner carefully removes makeup and dirt, effectively moisturizes, stimulates, tones, and removes the effect of "tightening" of the skin. Arctic cloudberry extracts and aloe prevent acne, refreshes the skin, removes shine and maintain the necessary balance of moisture. Panthenol moisturizes the skin and has anti-inflammatory effect, stimulates the synthesis of collagen and elastin. Complex of amino acids activate skin cells regeneration processes and has rejuvenating effect on the skin. Cosmetics made on the basis of shungite water refresh and deeply cleanse the skin of the face and neck, eliminate peeling and redness of the skin, have a powerful antioxidant action, strengthen cell membranes, protecting them from damaging effects of free radicals, inhibit premature aging of the skin. Its regular use improves color of the face, the skin becomes smooth and elastic. Shungite has a powerful positive energy.